A new exciting volunteering opportunity has arisen at the beautiful RSPB Sandwell Valley, as we are currently looking for Membership Lead Volunteers to join our dedicated and friendly team. Be part of the story and let’s save nature together! Our visitor volunteers work across the visitor centre and the lakeside viewpoint, making a large flexible team whose focus is great customer service, membership and promoting this special nature reserve. Membership income is a vital source of income and underpins everything we do. It is really important that our visitor welcome volunteers promote membership through meaningful conversation to non-members, actively encouraging them to sign up at the reserve. The role will be varied, focussing on providing a great welcome, leading the way and setting the example to other volunteers. As well as working with the regional membership team to cascade best practice and training to other volunteers on site. RSPB membership really is the lifeblood of the Society and underpins every single thing we do. It helps us fund nature conservation work here and across the UK – not only the ongoing land management of our reserves but also by creating and enhancing magnificent wild paces for nature and people to enjoy. It is therefore important that you can inspire people about the work we do, and ask them would they like to support us by becoming a member. You will champion, inspire and train other volunteers to promote the benefits of membership and encourage non-members to sign up at the reserve. You will support and train other volunteers in relation to membership sales and administration involved. 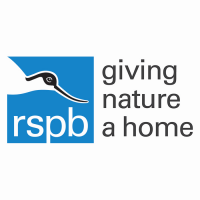 This role will suit someone who loves to meet and talk to visitors and who would gain satisfaction from encouraging people to support the RSPB as members. It’s also a great opportunity to work at a unique wildlife reserve learning more about nature, birds and wildlife, whilst making a real difference to the work of the RSPB. No previous experience is needed, as full induction and training will be provided. You will be working closely with the Visitor Experience Officer who will support you develop your skills further. Moreover, you will have the opportunity to access a full range of RSPB training and courses for personal development. Several volunteers are needed to provide greater flexibility. Appropriate training will be provided and expenses will be reimbursed where necessary. The RSPB is the UK charity working to secure a healthy environment for birds and wildlife, helping to create a better world for all of us. We belong to BirdLife International, the global partnership of bird conservation organisations. Your time and skills could make a real difference to the work of the RSPB and it would be great if you could join us. Nature is amazing help us keep it that way.